This wooden wall figure seems to scream: „1970s!!! !“ It is a beautiful work, especially for a hobby craft item! 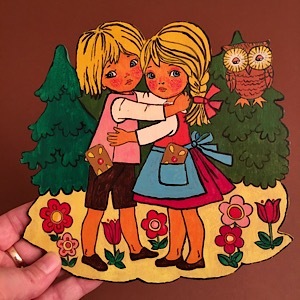 The template comes from Graupner, with the lines already printed on the wood, but I couldn’t dream of coloring it that beautifully! Well, the world needs admirers, too! 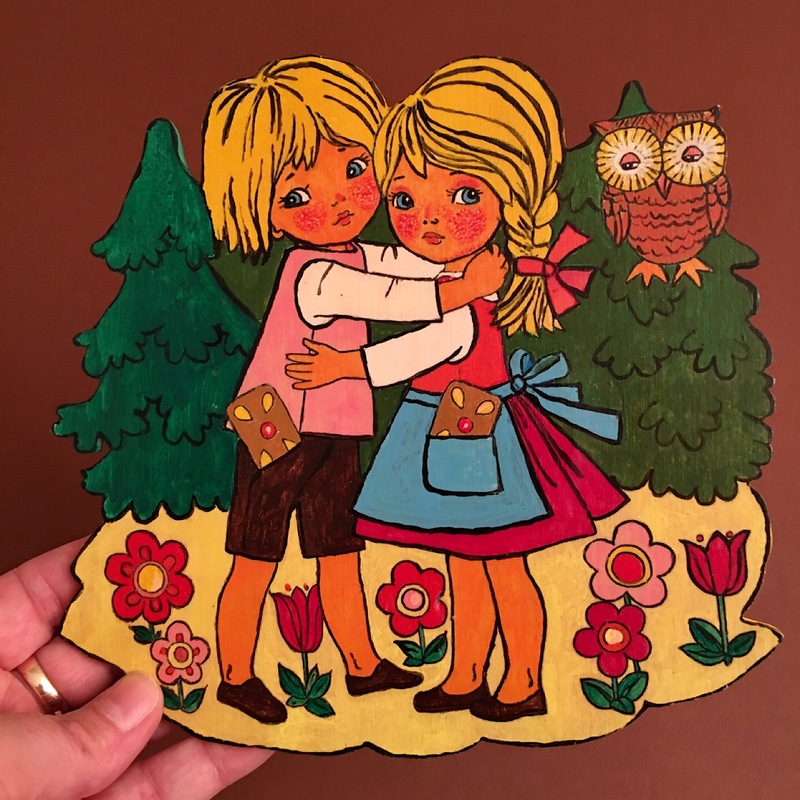 Hand-colored on wood and rather rare, especially in this wonderful version!